As stroke treatment via telehealth gains broad acceptance, Avizia’s industry-leading telestroke workflow allows care teams to collaborate quickly and effectively. RESTON, VA — February 21, 2018 — Avizia, powering system-wide telehealth, today announced the availability of its updated telestroke workflow. 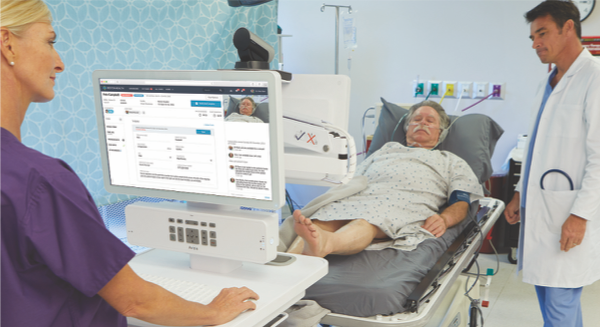 Coupled with industry-leading audio and visual capabilities, as well as enhanced far-end camera control functionality, Avizia’s stroke workflow enables unrivaled in-application collaboration with other members of the care team and family—streamlining decision-making and closing communications gaps. The availability of this streamlined collaboration functionality is significant. The American Heart Association and American Stroke Association published extended timeframes in the 2018 Guidelines for the Early Management of Patients with Acute Ischemic Stroke. With this update, the window for stroke treatment has been expanded, allowing for patients to be eligible for thrombectomy up to 24 hours after symptom onset. Additionally, the guidelines recommend the use of telehealth in guiding the administration of intravenous tPA. For providers using streamlined and integrated telestroke solutions, this means even more opportunities to lower disability from stroke. Communication and collaboration will continue to be key for driving care coordination in order to deliver the best outcomes for stroke patients. Likewise, the Creating High-Quality Results and Outcomes Necessary to Improve Chronic (CHRONIC) Care Act was signed into law on February 9, 2018. The CHRONIC Act allows Medicare to reimburse for more services for treating chronically ill Medicare beneficiaries via telehealth, including stroke. Reimbursement is a major hurdle to broader adoption of telehealth. According to a 2017 Avizia-sponsored survey, 41 percent of providers surveyed cited reimbursement as a barrier to telehealth program implementation. Avizia’s industry leading telestroke workflow empowers remote neurologists to rapidly evaluate and treat patients—regardless of location—and enables hospital stroke centers to provide a care equivalent to having a neurologist at the point of care.